David Tindle RA has taken part in a critically-acclaimed documentary on the artist John Minton, which aired on BBC4 on 13 August. Presented by Mark Gatiss, John Minton: The Lost Man of Art featured interviews with Sir Peter Blake, Bridget Riley CBE and the novelist Paul Bailey, among others. In the programme, Tindle recounted his friendship with Minton, who he met in 1952. Minton purchased a small self-portrait by Tindle at one of his first exhibitions, and introduced the young artist to his circle, which included Francis Bacon and Lucian Freud. 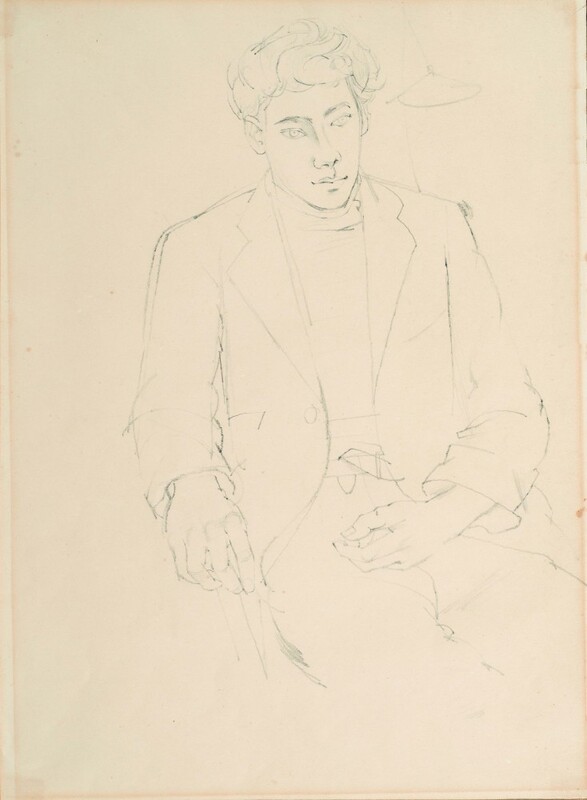 Tindle sat for a pencil drawing in 1952, which has remained in Tindle's possession ever since, and was exhibited as part of his retrospective at Huddersfield Art Gallery in 2016. Tindle also sat for a celebrated oil painting by Minton, which is now in the permanent collection of Pallant House Gallery, Chichester.